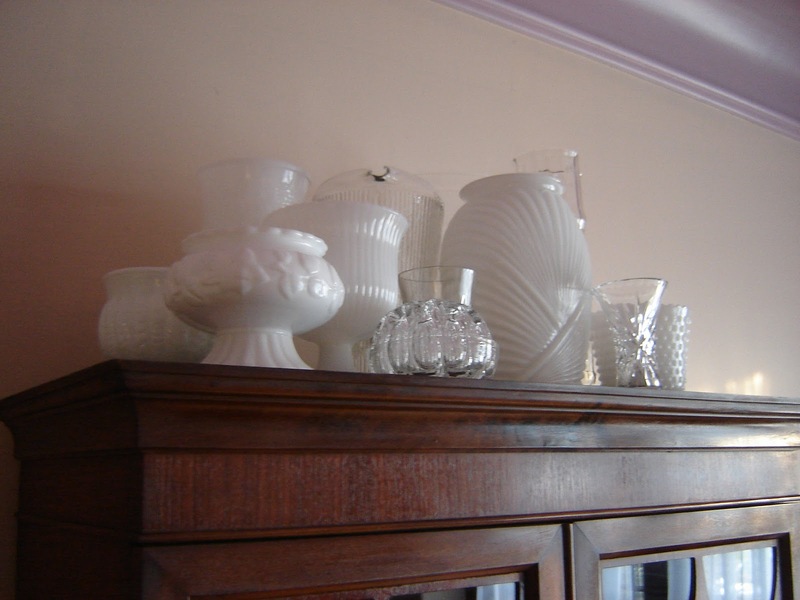 Take a look at most design magazines and you will find pictures of same themed items on a coffee table or shelf as a design statement, here I have displayed a collection of old milk glass and have mixed it up with clear glass for a variation on this theme, on top of a china cabinet. An ideal place for storage on display! It is easy to access and use, for any holiday ie, Canada Day with red flowers, or use tea lights, real or battery operated in the vases in the winter for a soft warm glow and you can switch it up for any holiday by just getting creative.